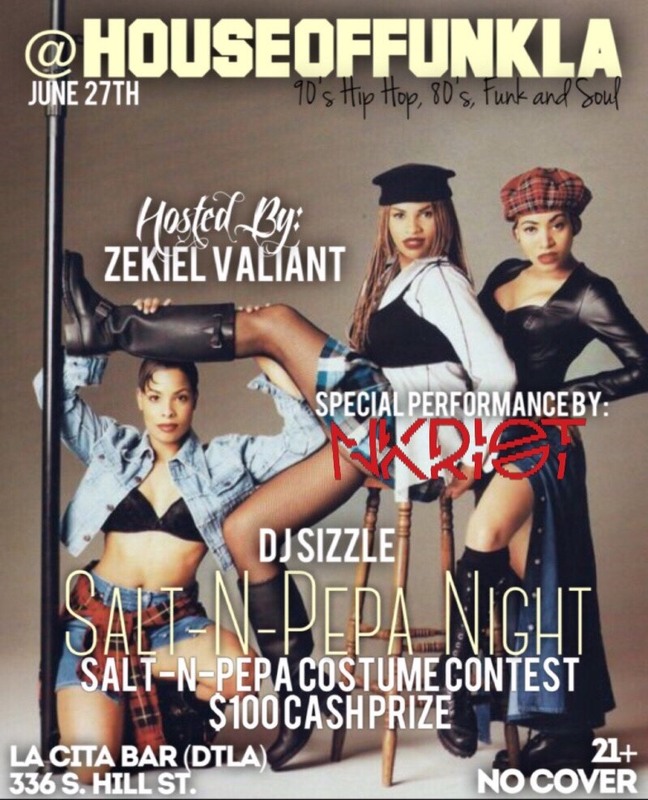 House of Funk LA presents Salt-N-Pepa night! Featuring a live performance by NK Riot, DJ Sizzle, and hosted by Zekiel Valiant! Plus a Salt-N-Pepa costume contest with a $100 cash prize!